GeoGebra 6 - download in one click. Virus free. 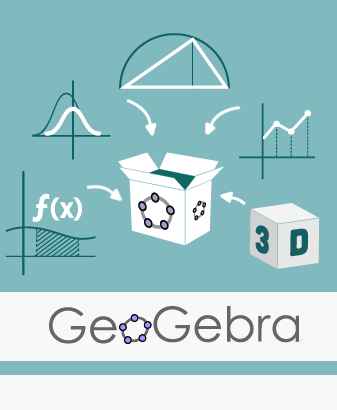 Download the latest version of GeoGebra 6 with just one click, without registration. 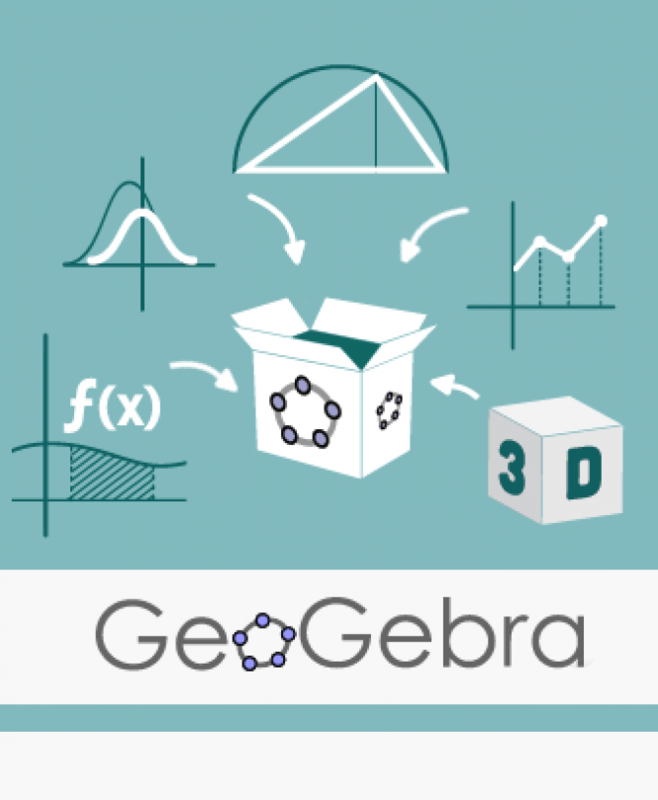 It is a standalone setup package that contains the full offline installer for GeoGebra 6. GeoGebra is a package of interactive mathematics software that brings together not only geometry and algebra but also graphing, statistics, and calculus in a comprehensive and perfectly understandable way. This program provides all necessary tools to get acquainted with calculus through visual way or to explore functions, graphics, and geometry problems. 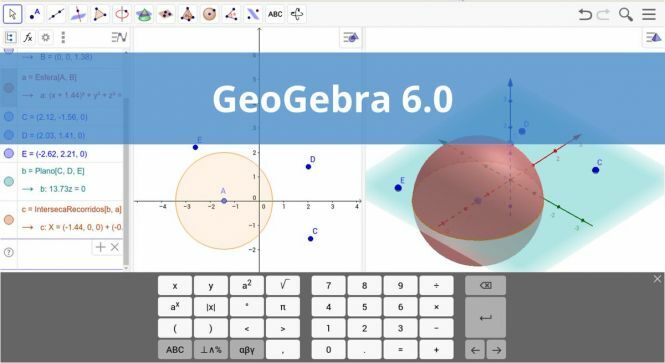 Perhaps, the only its downside is that the interface requires some time to master, so if you plan to use GeoGebra as an educational program, you better prepare thoroughly, exploring all its features before getting to it with students. 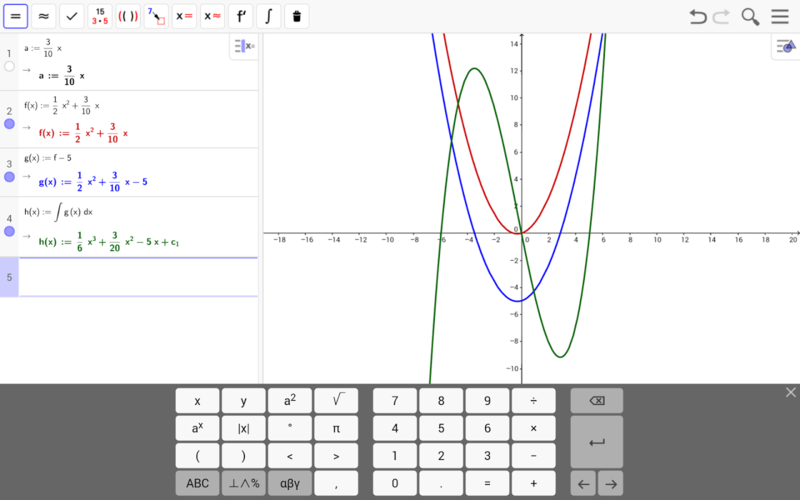 However, the interface isn't too complicated, so there is no doubt in the great educational value of GeoGebra. 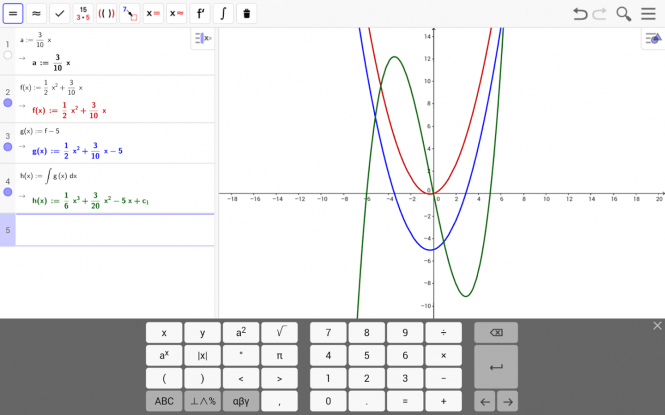 You can use it to explore functions and their derivatives, to see the graphic interpretation of changing the slope of the function, to build graphics, their tangents, as well as complicated curves and two-dimensional planes. As for geometry lessons, GeoGebra comes useful to presenting polygons and angles, provides tools to measure any angle on the built document. There are plenty of online tutorials that provide various lessons in Euclidean Geometry - triangles, circles, conics, for example - or you can build your own teaching materials in no time at all. Finally, the latest versions of GeoGebra have tools for building 3D graphs which you can freely rotate to show it from various angles and zoom in and out to explore all the crucial details. The same options are available to a 2D graph, too, the only difference in functionality is re-scaling of the axises - 2D graphs have this feature, whereas 3D graphs still lack it. All in all, GeoGebra is a great tool for teaching and learning for students and pupils in science, technology, engineering, or mathematics class. Check out this free download to see how far you personally can go with it!